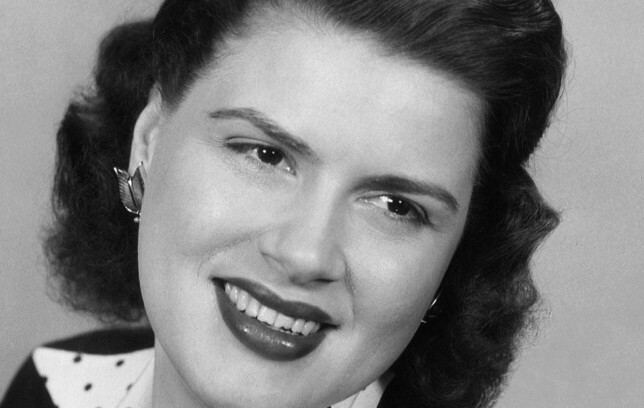 Patsy Cline (Virginia Patterson Hensley 1932 – 1963) was an American country music singer. Part of the late 1950s/early 1960s Nashville sound, Cline successfully crossed over to pop music and was one of the most influential, successful and acclaimed vocalists of the 20th century. She died at the age of 30 in a multiple-fatality crash of the private plane of her manager, Randy Hughes. Cline was known for her rich tone, emotionally expressive and bold contralto voice, and her role as a country music industry pioneer who helped pave the way for women as headline performers in the genre. She overcame poverty, an unsuccessful marriage, a devastating automobile accident, and significant professional obstacles, and has been cited as an inspiration by Reba McEntire, LeAnn Rimes, and other singers in diverse styles. Books, movies, documentaries, articles and stage plays document her life and career. The piano sounds like Floyd Cramer. Always loved his work. For a number of years, I taught Western Civ. at a small Midwestern liberal arts college. Part of the class was given over to music appreciation. When I came to the bit on modernism, I always used this song as an example of what is best in 20th century Americana. What is more American than Patsy Cline singing a Willie Nelson song? The song has a surprisingly complexity hidden in a seemingly simply delivery. There are elements of jazz, bop, and country throughout. And then there’s that lovely Southern accent. This entry was posted on April 14, 2018 by Vox Populi in Music, Opinion Leaders and tagged alcoholism, co-dependency, country music, feminism, Love, Madness love loneliness, Patsy Cline -- "Crazy", relationships between men and women.